Enhance your creativity and inspiration to communicate better your emotions. Specially helpful to balance the sacral and throat chakras, improving decision making when situations are demanding or undefined by connecting with your inner truth and voicing it effectively. 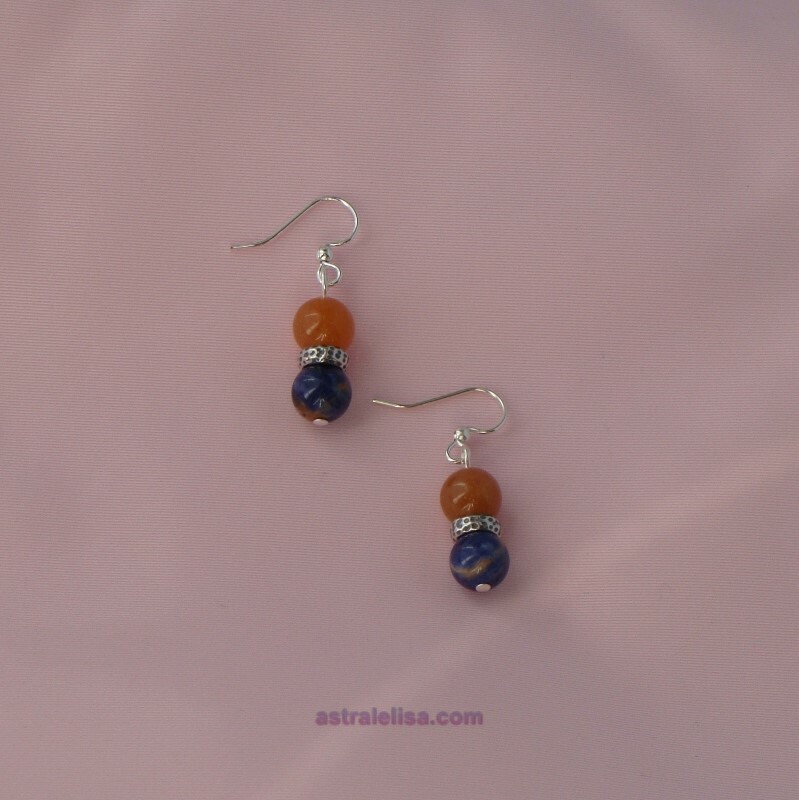 These earrings combine peach aventurine and sodalite with silver-plated components; approximate length is 2 cms (~ 0.76 inch).